The best way to get to know a community is by scheduling a tour. See the facilities, meet the staff and residents, and get a feel first hand what it's like to live at Wayside Parkview Estates Assisted Living. 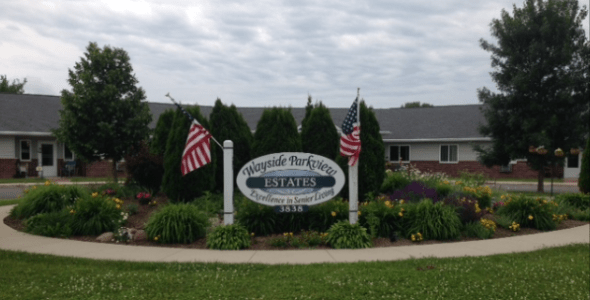 An assisted living community located in Greenleaf Wisconsin is Wayside Parkview Estates. Our community has 18 individual spacious apartments that was designed to provide comfort and convenience to our active seniors. Our community is shaped by Christian concern and values. Wayside Parkview Estates serves as a tangible expression of God's love by responding to the needs of the elderly, ever mindful of the worth and dignity of the individual. We address the needs of each person, seeking to offer a full range of quality residential and health care services. Our residents cannot resist hanging out on our comfortable living room as they make new memories while having a glass of tea. We have a full service beauty salon and barbershop where residents can get their hair cut or permed. Residents eat heartily together on our remarkable dining room where socialization is promoted. Residents can choose from a variety of floor plans we offer. We have one bedroom, two bedroom and companion suites. All homes has its own bathroom, living room, kitchen and handicapped accessible. Here resident’s independence and privacy is celebrated. They have individually locked entrance and indoor keyed mailbox. Our staff are available 24 hours a day to ensure the safety and security of our residents. We provide assistance in daily activities (bathing, grooming, and dressing), medication management, and mobility. We also have wireless call system installed in each room to make sure residents can get the help they need whenever. We have a lot of prepared activities to provide enrichment and stimulation. We have games, routine exercise, games, outings and parties. We also provide residents housekeeping, laundry service and maintenance.